The Good Brothers continue their celebration of The Dark Knight’s 80th birthday, with a dive into some Elseworlds stories within DC animation. This week the guys cover The Batman’s episode entitled “Bat In The Belfry” and have plenty to discuss around an entirely new Batman universe. Topics include a rather heated discussion on animation style, the somewhat controversial Joker interpretation, the many colors of the Gotham sky and the terrific theme song. A full scorecard and much more await you on this week’s episode of the DCAU Review! It’s finally here! Episode 47 of the DCAU Review has the Good Brothers discussing the newly released feature-length movie from WB Animation, Justice League vs The Fatal Five. 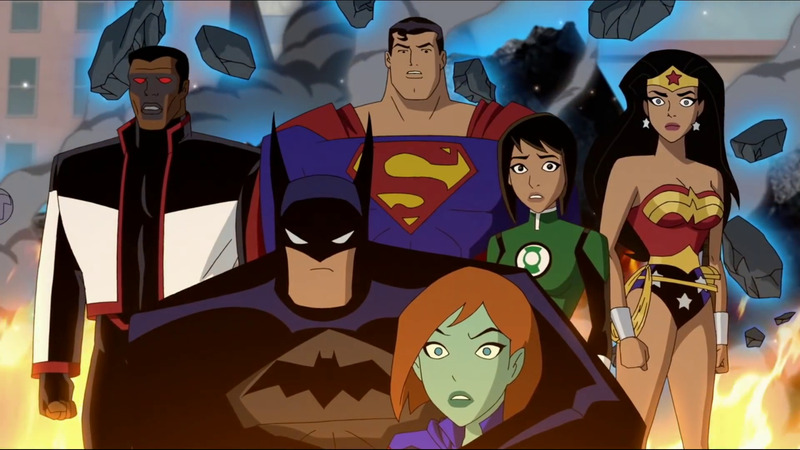 Get a full review from Cal and The DCAU Review Twitter Guru, including plot break down, discussion of thoughts going into the viewing and after. Plus Liam floats a potential connection to Batman Beyond: Return of The Joker, lots of discussion of the Hall of Justice Museum scene, the surprise cameos from a few DCAU favorites and how this movie compares with other DCAU entries. Plus a complete scorecard and much more! The 46th edition of the DCAU Review is an all-time DCAU classic. 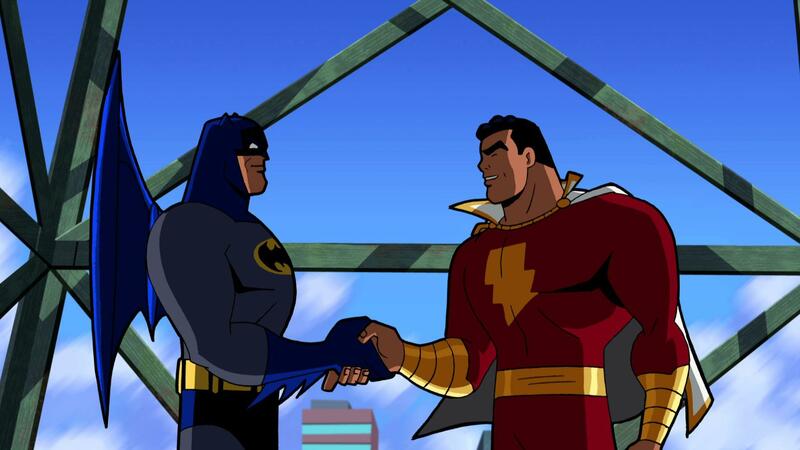 In this week ‘s review of “The Savage Time” the Good Brothers discuss the difficulty of balancing a three-part episode, an unforgettable theme song, Vandal Savage vs. other DCAU Big Baddies, Superman’s uselessness and some surprising NFL stats from one of the episode’s voice actors. All of this and a preview of next week’s review of Justice League vs. The Fatal Five and a complete scorecard on this weeks episode! Also, be sure to subscribe to us Google Podcasts or on iTunes! 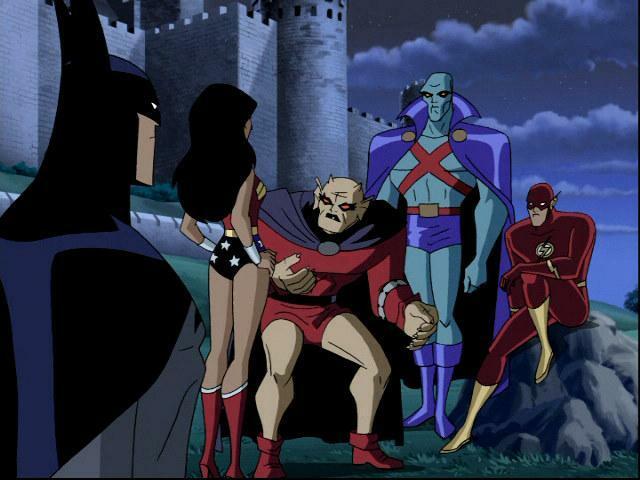 On the 45th edition of the DCAU Review, the Good Brothers are going a little supernatural with the Justice League episode entitled “A Knight Of Shadows” with Jack Kirby’s creation, The Demon Etrigan. Cal and Liam talk the lack of a backstory for the main protagonists, some very Kirby influenced animation sequences, a few major plot holes and what may be Carl Lumbly’s best performance as Martian Manhunter. All of this and update on the #QuestFor250, plus a complete episode score card on this week’s episode! 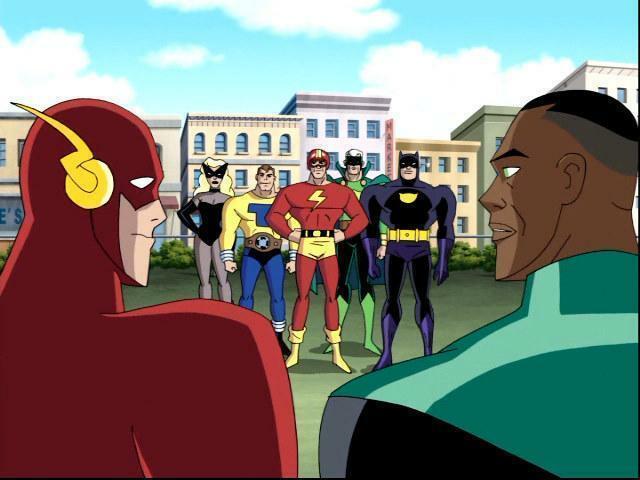 This week brings the 44th edition of the DCAU Review and the Good Brothers are discussing “Legends”, one of their favorite episodes of Justice League. 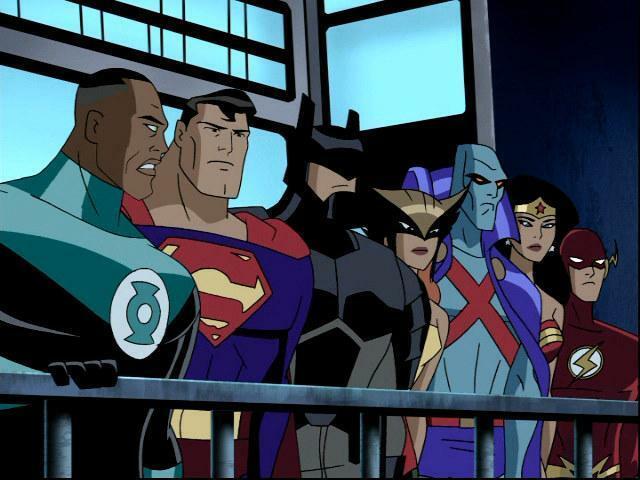 The guys discuss the Justice Guild as an homage to the Justice Society, the role of sacrifice as an important part of making an effective superhero, cartoons giving you goosebumps and a surprising member of this week’s voice cast. Check out this week’s episode below and click through to see the full scorecard.